Receive answers to your pressing questions right on iPhone or Apple Watch! “Archangel Michael Guidance” sends affirmations, advice and guidance as notifications right to your mobile device. Archangel Michael is a beloved and powerful protector and trustworthy guide. He knows your lifes purpose and the best steps for you to take next. 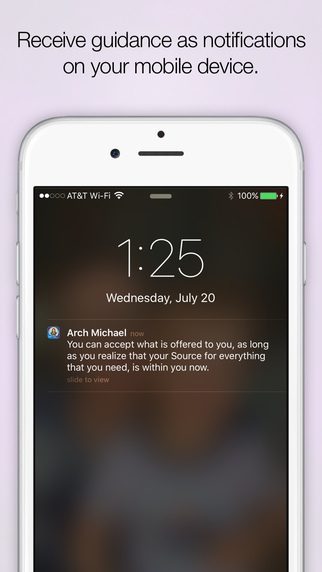 Start receiving notifications every day with encouraging and motivational messages from Archangel Michael!